The Pain Institute, The Pain Relief Store, M.C. Cronen & Associates, and Optimal Renew are not responsible for, and cannot guarantee the performance of, goods and services provided by third parties, including advertisers, or other third parties to whose sites we link. 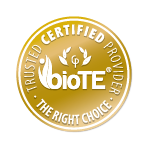 While our goal is to provide accurate information, product packaging and material may contain more and/or different information than that provided on The Pain Institute Sites, including the product description, country of origin, nutrition, ingredient, allergen, and other information. Always read labels, warnings, directions, and other information provided with the product before using or consuming the product. For additional information about a product, please contact the manufacturer. Information and statements regarding dietary supplements have not been evaluated by the Food and Drug Administration and are not intended to diagnose, treat, cure, or prevent any disease or health condition. It is your responsibility to ascertain and obey all applicable local, state, federal, and foreign laws (including minimum age requirements) regarding the purchase, possession, and use of any Product. ALL SALES FINAL. IMPORTANT: THIS AGREEMENT CONTAINS A MANDATORY ARBITRATION PROVISION THAT, AS FURTHER SET FORTH, REQUIRES THE USE OF ARBITRATION ON AN INDIVIDUAL BASIS TO RESOLVE DISPUTES. THIS MEANS THAT YOU AND WALMART ARE EACH GIVING UP OUR RIGHTS TO SUE EACH OTHER IN COURT OR IN CLASS ACTIONS OF ANY KIND. By confirming your purchase at the end of the checkout process, you agree to accept and pay for the Products, as well as all shipping and handling charges and applicable taxes. Products will be shipped to an address designated by you, if applicable, so long as such address is complete and complies with the shipping restrictions contained on The Pain Relief Store Site. All transactions are made pursuant to a shipping contract and, as a result, risk of loss and title for Products pass to you upon delivery of the Products to the carrier. Delivery of Products purchased from the The Pain Relief Store to addresses outside the United States is limited. Some Products also have restricted delivery within the United States. Estimated delivery times are determined based on the method of shipping chosen when Products are purchased and the destination of the Products. YOU ACKNOWLEDGE AND AGREE THAT, TO THE FULLEST EXTENT PROVIDED BY APPLICABLE LAW, Pain Institute ENTITES (The Pain Institute, The Pain Relief Store, M.C. Cronen & Associates, and Optimal Renew) WILL NOT BE LIABLE TO YOU OR TO ANY OTHER PERSON UNDER ANY CIRCUMSTANCES OR UNDER ANY LEGAL OR EQUITABLE THEORY, WHETHER IN TORT, CONTRACT, STRICT LIABILITY, OR OTHERWISE, FOR ANY INDIRECT, SPECIAL, INCIDENTAL, OR CONSEQUENTIAL LOSSES OR DAMAGES OF ANY NATURE ARISING OUT OF OR IN CONNECTION WITH THE USE OF OR INABILITY TO USE THE PAIN INSTITUTE SITES, EVEN IF AN AUTHORIZED REPRESENTATIVE OF THE PAIN INSTITUTE ENTITY HAS BEEN ADVISED OF OR SHOULD HAVE KNOWN OF THE POSSIBILITY OF SUCH DAMAGES. TO THE FULLEST EXTENT PROVIDED BY APPLICABLE LAW, THIS DISCLAIMER APPLIES TO ANY DAMAGES OR INJURY ARISING FROM ANY FAILURE OF PERFORMANCE, ERROR, OMISSION, INTERRUPTION, DELETION, DEFECTS, DELAY IN OPERATION OR TRANSMISSION, LOST PROFITS, LOSS OF GOODWILL, LOSS OF DATA, WORK STOPPAGE, ACCURACY OF RESULTS, COMPUTER FAILURE OR MALFUNCTION, COMPUTER VIRUSES, FILE CORRUPTION, COMMUNICATION FAILURE, NETWORK OR SYSTEM OUTAGE, THEFT, DESTRUCTION, UNAUTHORIZED ACCESS TO, ALTERATION OF, LOSS OF USE OF ANY RECORD OR DATA, AND ANY OTHER TANGIBLE OR INTANGIBLE LOSS. SUBJECT TO THE FOREGOING, TO THE FULLEST EXTENT PROVIDED BY APPLICABLE LAW, NO THE PAIN INSTITUTE ENTITES (The Pain Institute, The Pain Relief Store, M.C. Cronen & Associates, and Optimal Renew) WILL BE LIABLE FOR ANY DAMAGES. PLEASE READ THIS SECTION CAREFULLY. IT MAY SIGNIFICANTLY AFFECT YOUR LEGAL RIGHTS, INCLUDING YOUR RIGHT TO FILE A LAWSUIT IN COURT. Using or accessing The Pain Institute Sites constitutes your acceptance of this Arbitration provision. Please read it carefully as it provides that you and The Pain Institute will waive any right to file a lawsuit in court or participate in a class action for matters within the terms of the Arbitration provision.